"Birdies are certainly a must this week. Mickelson is tied fourth in Birdie Average this season, up a couple of spots from last week after he racked up 20 in The Northern Trust"
There aren't any of the crazy prices of last week around but Phil Mickelson is still historically very big to win at TPC Boston this week. 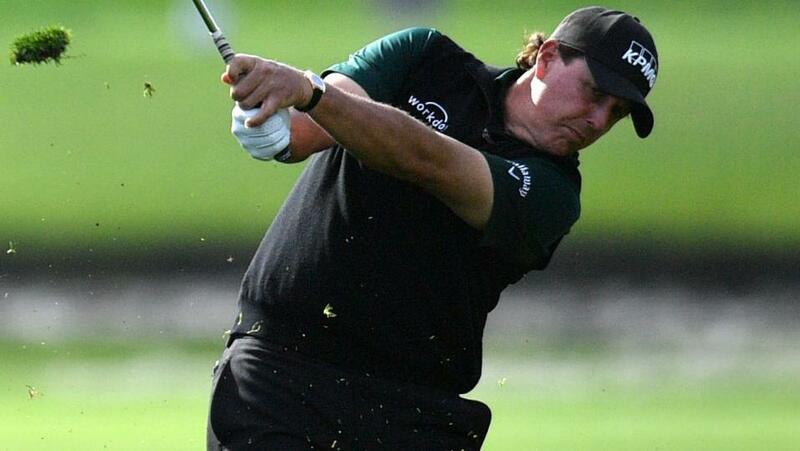 Lefty won this event way back in 2007 but, more recently, took tied sixth spot last year despite revealing that week that he'd been suffering from terrible fatigue all season and had endured spells of lying in bed for several days. Mickelson is a huge fan of this week and said once: "I think aesthetically it's very pleasing, but what I really like about the course is that there are a lot of birdie holes and there are a lot of tough par holes, and I believe in making the hard holes hard, which we have here, and I believe easy holes should be left easy. "Holes like No.4 where you leave it drivable, it's reachable for everybody in the field, I think that's great. You move the tee box back 30 yards, it ruins the hole. I think that type of foresight is what makes this course so good, because the easy holes give you birdie chances and a chance to separate yourself from the field, and the hard holes you can separate yourself from the field with pars. "This is one of my favourite courses we play on Tour." Birdies are certainly a must this week and the highest winning score since the course was first used in 2003 is Olin Browne's -14 in 2005. Justin Thomas triumphed with 17-under last year and we've seen 22-under hit three times. Mickelson is tied fourth in Birdie Average this season, up a couple of spots from last week after he racked up 20 in The Northern Trust. His performance there was hugely encouraging in terms of winning or at least challenging here, the five-time major winner saying: "My distance control is back and my touch on the greens is coming back. I think as the Play-offs continue, as this tournament continues, I think it's going to get better and better. "I'm going to have a good finish this week or weekend. I don't know exactly, what that means, relative to the standings, but I'm going to play well this weekend and carry it on into Boston and it's just going to get better." The Ryder Cup gives him further incentive as he bids to get a wildcard. "This started out to be a great year, and I want to finish it off right. And usually when I have a bit of a lull in the summer, I play well in the Play-offs. So I expect to have a good first two events and try to make it really easy for Captain Furyk." Mickelson's tied 15th at The Northern Trust wasn't quite as good as he though when taking the lead in round two but he certainly did enough to mark our cards that he's worth following again here. With him, it's often about timing and he seems to have clicked again. A winner of a WGC event earlier this season, it's time to get on board at 50s. Billy Horschel has a strange record at TPC Boston, finishing runner-up in 2014 but doing nothing in four other visits. However, 2014 of course was the year he caught fire and went 2-1-1 in the final three play-off events to scoop the FedEx Cup. Given that he kicked this year's off with tied third place in The Northern Trust last week, we could be about to witness another Horschel hot-streak. His numbers are certainly superb. The 31-year-old has finished in the top seven for greens in regulation in five of his last six starts, including each of his last three. He was also 1st for Scrambling last week and second in that same category when tied 11th at the Wyndham Championship two starts ago. Also second at the Barbasol last month, he really is one of Tour's in-form players so 50s can't be ignored. Horschel jumped from T59th to T32 in Par 4 Scoring after his impressive display at Ridgewood where he rolled in eight birdies and not a single bogey in his final 27 holes. It moved him to 14th in the FedEx Cup standings and he said later: "It's a week I needed. Only second time I've made the cut in the Northern Trust in the first event. "I knew if I could play well the first week, I could lock up my spot in The Tour Championship. I've done that. I've played a great week, and bogey-free for the weekend. I played really good, really solid, so I'm happy with it. "I want to get back to where I feel like I should be. Right now, being somewhere 90th or whatever I am in the world, I have no clue. I don't feel that does me justice for how good of a player I am." And, of course, there's the Ryder Cup angle too. "I think I have to do something special like I did in 2014." He's certainly started the process with his recent good results so I'll back Horschel to really thrust himself into the wildcard picture here. Looking at the front end of the market, I like Rory McIlroy best. He's a two-time winner here and knows how to suddenly switch it on in the play-offs. Justin Thomas has defended a title before so has to be respected while Jordan Spieth keeps dropping hints although perhaps his best chance will come at East Lake. Jason Day has obvious claims too but I fancy playing the bigger prices this week. To close with, I'm going to take a punt on Ryan Palmer at 150/1. When birdies are needed, Palmer's name always springs to mind. And it's no surprise to check the latest Birdie Average stats and find him nestled in the top 20. Palmer poured in 17 birdies last week and now ranks 17th in the season-long standings. Of course, it's about keeping the bad stuff away too and a bogey-free 65 allowed him to take a share of fifth place at The Northern Trust. That followed form of 26-22-MC-8 so he's been in good nick for a while. Time and time again we've seen players go well in back-to-back Play-off events and the American looks a decent bet to add to that trend on a course he's done well at. Palmer opened with 64 for T11 in 2010, fired a first-round 63 and took T15 in 2014 while he also cracked the top 25 on his last appearance in 2016, starting the closing lap in a tie for 11th. After the Sunday 65 which kept him in the Play-offs, Palmer said: "It's huge. I'm excited for next week. I love that golf course." And it's good to see him thinking big. "Knowing I can play this type of round on a Sunday, where I was at and locking up BMW and closer to East Lake, who knows, go to Boston, win next week and make Captain Furyk think about me." Palmer gained over 10 strokes tee-to-green at The Northern Trust so if the putter can heat up, he could cause a shock here. Also at a three-figure price, Stewart Cink has to be worth a look after his impressive stretch over the summer which shows a second place and another pair of top fours. The former Open champ was T12 at this course last year after three 68s over the final 54 holes so it could be a nice spot for his good streak to continue.